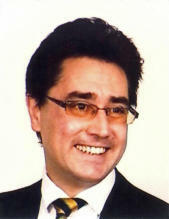 LLM(Exon)(International Business Law), Solicitor of the Supreme Court of England and Wales (non-practising), of Lincoln’s Inn and the Middle Temple, Barrister-at-Law (practising), TEP, SCMA accredited mediation advocate (www.mediationadvocates.org.uk). Chambers of Sir Tony Baldry, First Floor, 1 Essex Court, Temple, London (www.1ec.co.uk). I undertook pupillage in what is now Maitland Chambers in Lincoln’s Inn (where my pupil masters included Lord Justice Davis), am a member of the South Eastern Circuit, which includes London (www.southeastcircuit.org.uk), the Chancery Bar Association (www.chba.org.uk), and the Society of Trust and Estate Practitioners (www.step.org). I exercise rights of audience before every court in England and Wales in relation to all proceedings and principally appear in will, trust, and inheritance disputes in the Business and Property Courts and Central London County Court. I also appear as an advocate in the Court of Protection. As a registered Public Access Barrister I can be instructed directly by members of the public (including executors and trustees) without the involvement of a solicitor. I am authorised by the Bar Standards Board to conduct litigation. In an appropriate case, this permits me to carry out day to day case management activities (including the issue of a Claim Form in any court in England and Wales) which are reserved to Solicitors. This enables me to offer a one stop shop litigation and advocacy service to members of the public, from evaluation of the merits, evidence, and remedies, through to trial or settlement of the claim. Tel: 020 7936 3030 or 020 7832 1010. Tel out of hours: 07721 866 858. VAT number: 315 6185 10. In June 2016 I appeared in the High Court in London as counsel for the claimant in Clark –v- The Trustees of the Victor Hugo Fund (A Trust of Balliol College in the University of Oxford) & ors  (which was a successful claim for rectification of a will that involved multi-jurisdictional issues). I am the author of the first edition of the ‘Contentious Probate Handbook’ (published by the Law Society on 1 October 2016), and was a guest speaker at the annual one day seminar of the Association of Contentious Trust and Probate Specialists (ACTAPS) in the City of London on 7 April 2016. I have been commissioned by the Law Society to write a new book for practitioners entitled the ‘Contentious Trusts Handbook – Practice and Precedents’, which is scheduled for publication in October 2019. For more information please visit the ‘Contentious Trusts Handbook’ page of this website. In October 2018 an article I co-authored with Dr Hugh Series of Oxford University, ‘The Advocate and the Expert in the Court of Protection’ was published in the Expert Witness Journal (ahead of the Bond Solon annual international Expert Witness Conference in London on 9 November 2018). The article includes the outline of a new method of ADR I have developed for trust and estate disputes, and adapted for COP disputes, called ‘BME Mediation’. The article is being serialized in the ACTAPS monthly Newsletter, and has been posted by the Inner Temple Library on their Current Awareness Blog. A copy is also available to view on the ‘Publications’ page of this website. My most recent article which is about ‘Breach of Fiduciary Duty’ was published in ‘Trusts & Trustees’ (Oxford University Press) in February 2019. The journal is sold and distributed worldwide. The article includes discussion of a novel legal theory I am arguing that I call the ‘Quiet Fiduciary Thesis’. The case theory is that a claim of fraudulent calumny can be brought through the back door upon proof of breach of fiduciary duty, where a fiduciary, e.g. the holder of an LPA, has been silent.